Bardia National Park tour will take you to Tiger Tracking, Elephant Tracking, Rhino, Jungle/Nature walk, Bird watching, Full day wild sightseeing, Jeep safari, Dolphin sightseeing, Camping and Hiking etc. 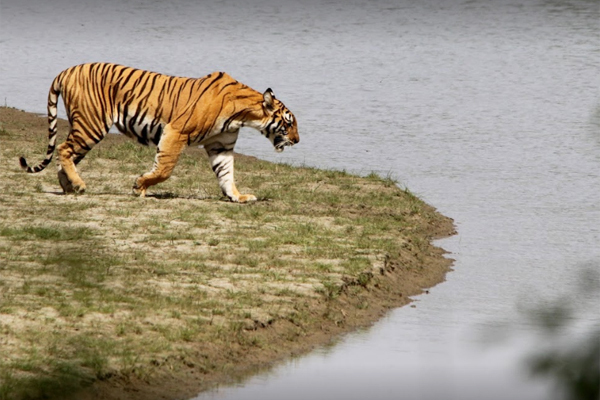 Explore Bardia National Park in Nepal, home to Bengal tigers, one-horned rhinos, elephants & sloth bears. 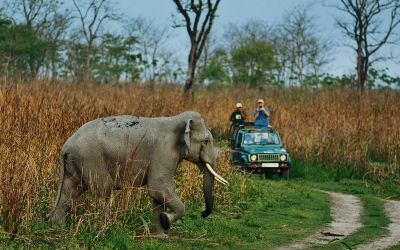 Savor the game drives in Bardia National Park. 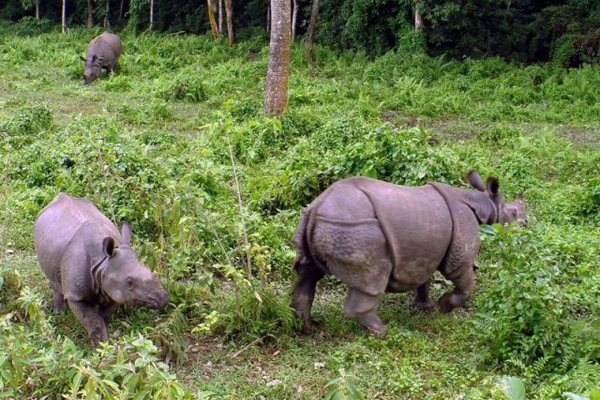 Spot one-horned rhinos and Bengal tigers. Elephant back Rides / Jeep Safari. Raft with river dolphins in Bardia. 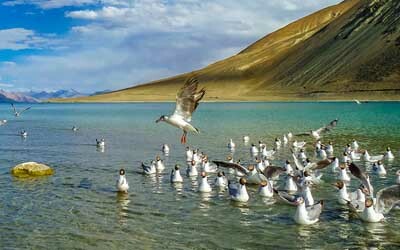 Experience the joy of birds and birding. Bardia National Park is a protected area in Nepal that was established in 1988 as Royal Bardia National Park. Covering an area of 968 km2 (374 sq mi) it is the largest and most undisturbed national park in Nepal's Terai, adjoining the eastern bank of the Karnali River and bisected by the Babai River in the Bardiya District. Bardia is one of the richest national parks of Nepal in terms of flora and fauna species. 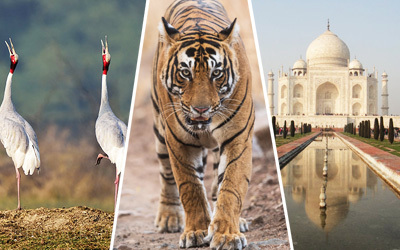 The park is the natural habitat of some next to extinct animals such as Bengal Tigers, One Horned Rhino, Wild Elephant, swamp deer and Gangetic dolphin etc. This 4-days tour to Bardia National Park offers you to make the close contact with the natural environment of west Nepal. 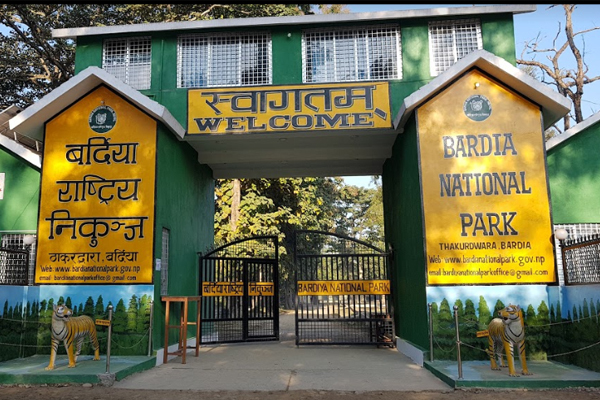 Bardia National Park Tour package is designed carefully, keeping the satisfaction of our customers in mind, and at the same time, the package also incorporates all of the beautiful natural and cultural essence of the Bardia National Park in a relative amount of time. 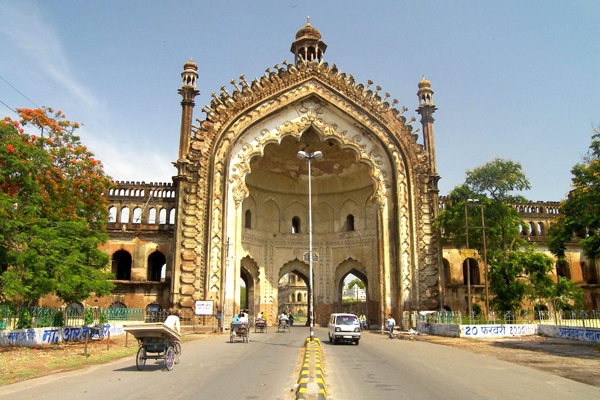 Arrive at Lucknow (India)/ Sahjahanpur (India)/Dhangadhi (Nepal). Meet our representative & transfer to Hotel in Barida (Nepal). From Lucknow & Shahajahanpur it is 300 kms (05 hrs ). From Dhangadhi it is 150 kms (03hrs). Overnight in hotel/resort at Bardia in Nepal. Early morning start for full day safari in Bardia by jeep. You will have pack breakfast. Lunch will be transferred to the park by us. In the evening return back to hotel. Overnight in hotel/resort at Bardia in Nepal . Early morning in start for Second full day safari by jeep/ Full day foot Exploration. You will have pack breakfast. Lunch will be transferred to the park by us. Overnight in hotel/resort at Bardia in Nepal. Ridding. After lunch at hotel, drive back for Lucknow / Sahjahanpur / Dhangadhi to reach home. End of the tour. Accommodation in Standard room in prescribed hotel on twin sharing basis. All meals, drinking water, tea & coffee. Safari/ Rafting / on foot exploration/ Elephant Ridding as per the itinerary. Tips to drivers & guides. Expenses of personal nature like Bar bills, laundry,etc. Any thing which is not in the included. 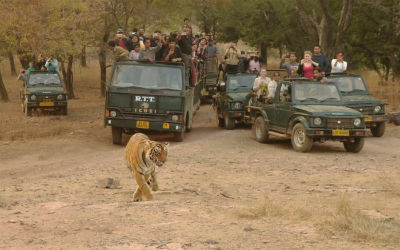 Tiger (good chance), Rhino (sure sighting), Leopard, Elephant, Dolphin, Ghariyal. Drongoes, Woodpecker, Green billed Malkoha, Vulture, Dushky Eagle Owl, Mottaled wood Owl, Brown fish Owl, Silver eared mesia, Black crested Bulbul Chestnut capped Babbler, Puff throated Babbler, Spot bellied Eagle Owl & Black Stork.